Why would you need to do this? After all, most of the applications you want are more than likely in the Google Play Store. But there are occasions when even these “official” apps aren’t available for some reason—maybe they’re restricted in your region, not compatible with your phone, or some other equally as unimportant third thing. 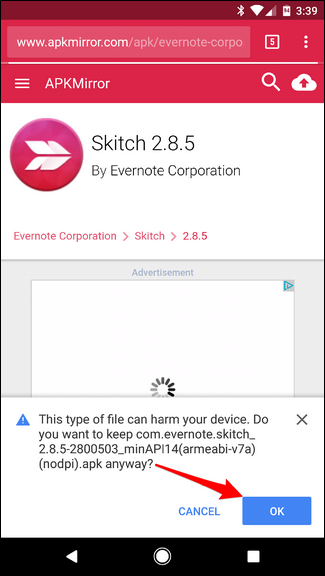 In any of those cases, you may want to sideload the app onto your phone. One of my favorite apps, Skitch, was discontinued a few years ago, but the old version still works. So I sideload it. It can also help you get the latest and greatest version of an app if the latest update is rolling out in stages. 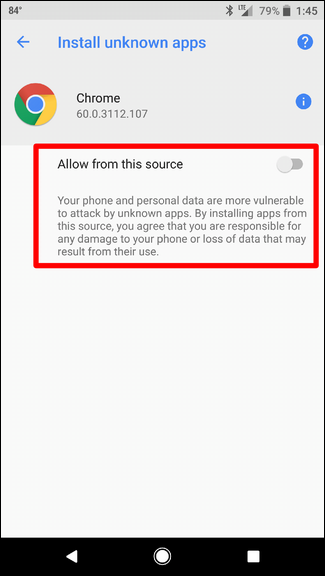 Before we get started on how to do it, however, let’s first talk about why this setting is disabled by default, and the security implications you could potentially face by allowing your phone to accept installations outside of the Play Store. 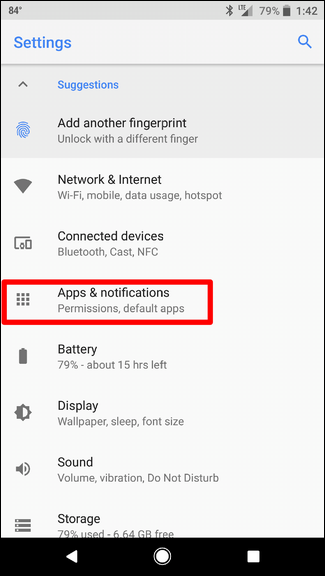 Basically, when you allow any application to be installed on your phone, you’re essentially bypassing the security protocols that are enabled in the Play Store—the stuff Google does behind the scenes to make sure all the apps you install from the official channels are safe for you, your phone, and your data. That is, of course, your call—that’s why there’s a toggle to allow other apps to be installed, after all. But that brings me to another point: if you’re going to install apps outside of the Play Store, make sure they’re from a trusted source like APK Mirror. This is absolutely paramount if you want to make sure your stuff stays safe. 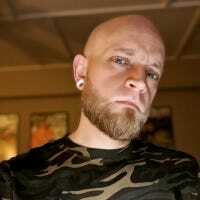 There are a lot of malicious people/websites/etc. 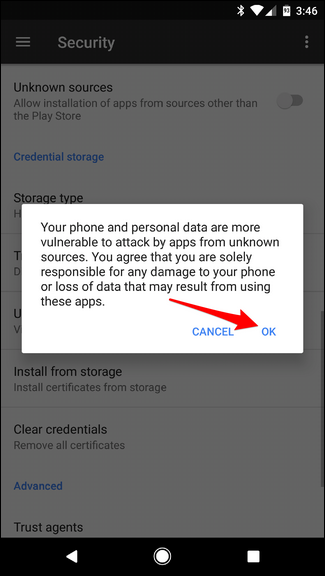 out there that want nothing more than to hijack your data, so if you’re going to slideload apps, be smart about it. If you pick your sources correctly, you can easily be just as safe installing these apps as the ones from the Play Store. 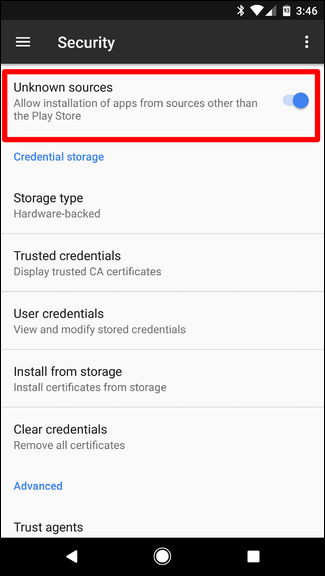 Like I said earlier, Google changed how sideloaded apps are handled in Oreo. 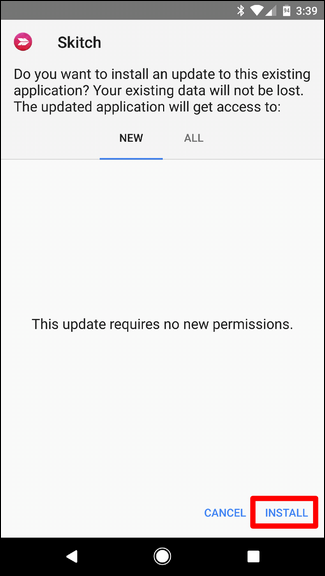 Instead of having one universal setting to simply install unofficial apps across the board, “unknown sources” is now allowed or disallowed on a per app basis. 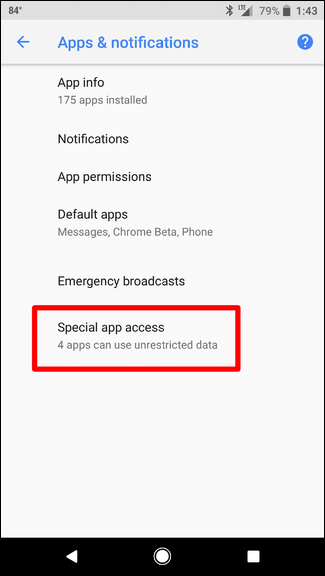 For example, if you want to install things from APK Mirror, you’ll have to allow Chrome to install apps from unknown sources. For those interested, we have a more indepth explanation of the change here. We’re going to use Chrome as the example here, but the process will be the same for any app you’d like to allow application installs from. 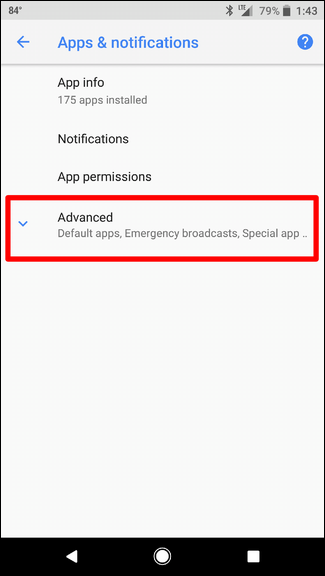 Note: Not all apps have this ability—it’s part of the code, and Android will only offer the option for apps that have the ability to download and install applications. 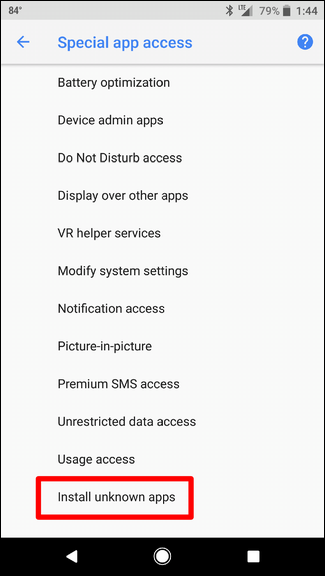 The option to allow sideloading apps can be found in a couple of different places, but the easiest way to handle it is from a “universal” setting that will show all apps that have this option available to them. Start by pulling down the notification shade and tapping the gear icon. From there, tap on “Apps & Notifications,” then expand the Advanced menu. The bottom option here should be “Install Unknown Apps.” Tap this. All apps that have the option available to download and install applications will be listed here. 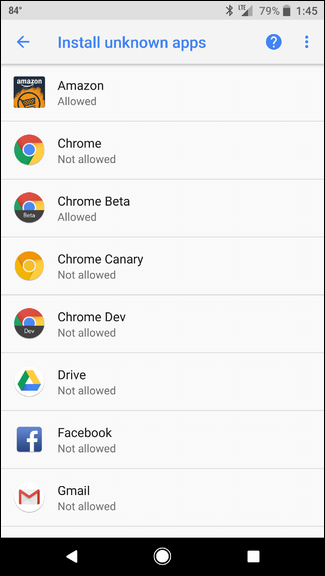 Again, we’re using Chrome in this example, but you can select the app you’re trying to allow. Once you open the app’s options, a simple “Allow from this source” toggle needs to be ticked. Turn that on, and you’re done. 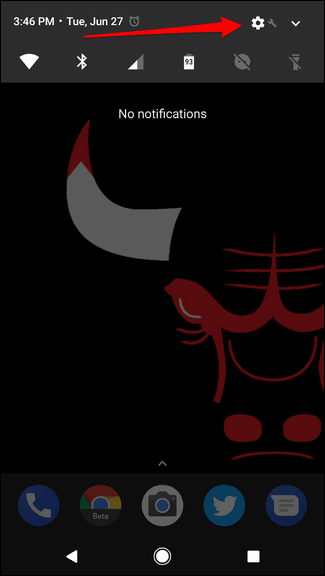 Download the application’s APK file, and tap on it to install. I know, that was a bit of a long-winded explanation, but it’s important. In all actuality, the process is super simple. 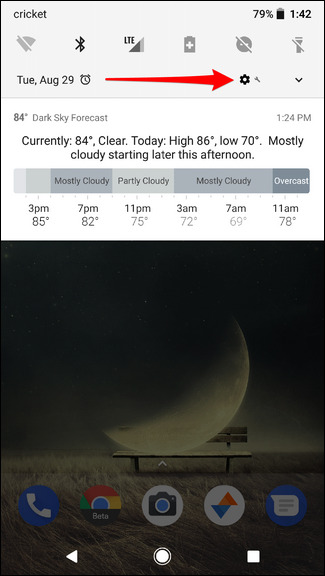 Pull down the notification shade and tap the gear icon. 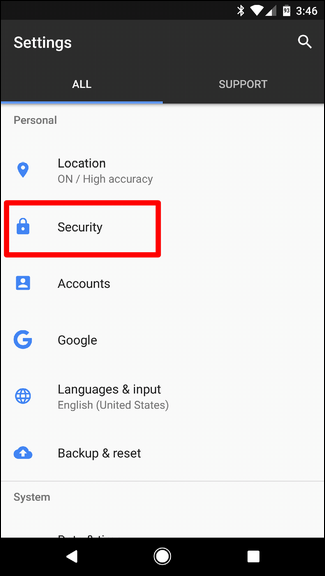 From there, scroll down and tap on Security. Scroll down this page until you see “Unknown Sources.” That’s your setting—toggle it to on. A warning will pop up letting you know what you’re getting into. If you’re cool with that, tap OK.
Now you’re ready to sideload any app you want. 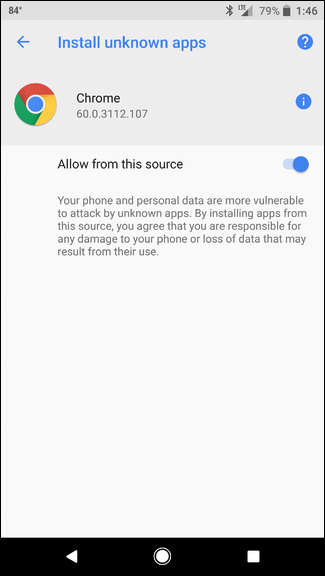 All you need to do is find the APK and download it to your device—Chrome will usually offer a warning letting you know that this type of file can be harmful, just tap OK to accept that and start the download. Once it’s finished, tap on the download notification to install the app. A popup will show up asking if you’d like to install it—just tap “install.” Let it do its thing and you’re done!